The dam's "valve shaft" begins to take shape. It stands as a distinctive feature at the north western corner of the dam. 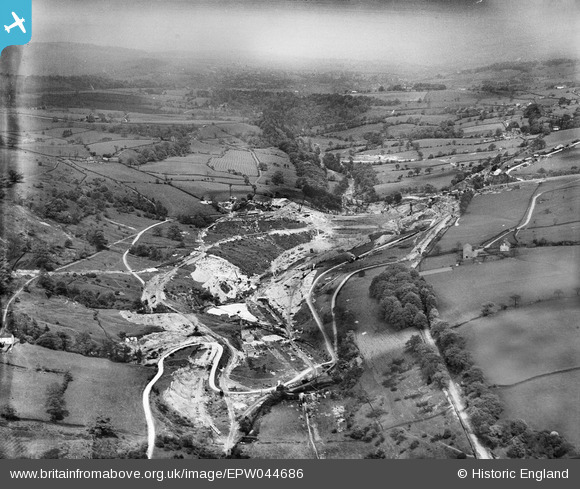 Appears to show the remains of the gunpowder works which suffered a major explosion in 1909.